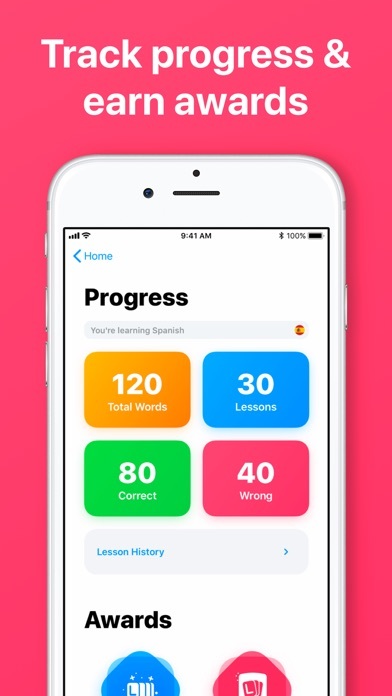 The app is fine and is pretty similar to other language learning apps. It helps you learn vocabulary and that’s about it. The biggest flaw it has is the speaking portion. The last section of each lesson has you speak, but it will almost always detect the wrong thing for at least one out of the four words. Personally, I know I’m saying the words correctly. I have a native Korean friend who has confirmed I’ve said the words correctly but the app detects something different. This seems to be a common issue among other users as well. 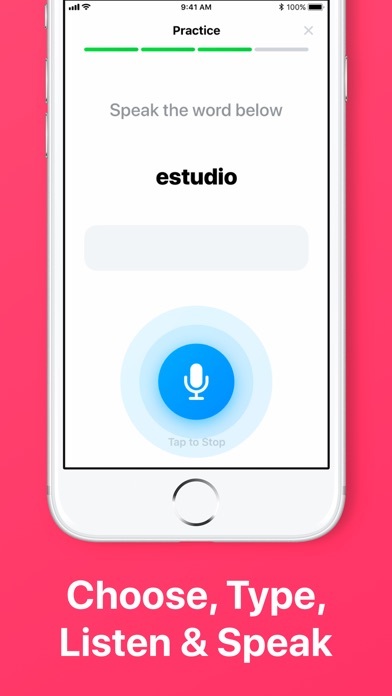 The app keeps telling me I’m wrong when I tap the mic button to speak the words. I’m speaking them clearly but your translator is hearing it differently. Other than that, great app. Unless you answer incorrectly during a lesson or go to the ever-growing list of words "learned," there's currently no way to review past words. $40/year? Hard pass. Unfortunately, in previewing the first lesson for intermediate and basic Chinese (Mandarin), I was confronted with several errors, most notably 曷 for “where” (completely wrong), 过分地 for “sky” (completely wrong) 履 for “shoe” (incredibly bookish and old) I can go on and on. I cannot in good conscious give this app more than one star because it fails on the most basic level of “teaching” “Chinese.” Disappointing. Voice recognition is not very good. Sometimes the feedback moves too fast, but otherwise it’s a great learning tool including learning each word by how it sounds, reads, is spelled, and one’s own pronunciation. No charge for 7 days, then they auto deduct money from your iTunes acct. Very deceiving. This app has a real problem accurately recognizing what I say. Probably because my phone picks up all the background noise around me. 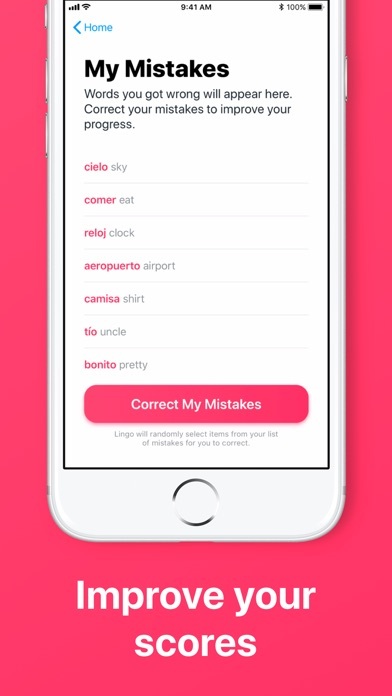 This is a fun and quick way to improve my Spanish vocabulary. A little each day. I’m just getting started this is my second lesson but, it would be nice if they would repeat the words back to you once you selected them so that you can hear how they sound in Spanish. It would be better if you could change the language from the one you are learning right now . Generally I like this app. I like how it functions, and I like that it only focuses on 4 words at a time. The problem is that the speech recognition is broken. It only works about 25% of the time. It almost always makes you repeat what you've said, I'm not sure why. I love this!! I would like to go back and practice the words I have learned. Is there a way to do this? Very helpful goo way to learn. 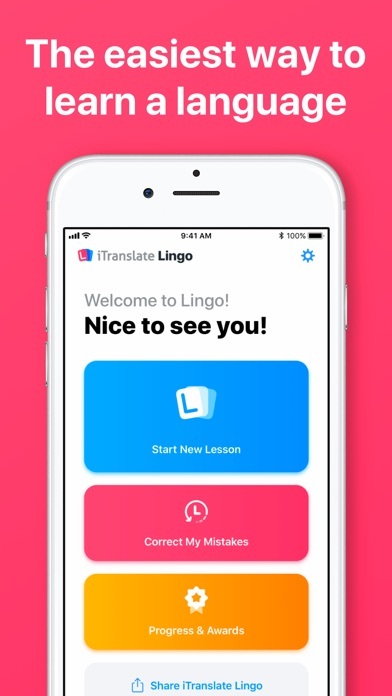 I absolutely do not understand how this app could charge you to teach you 4 words a day? 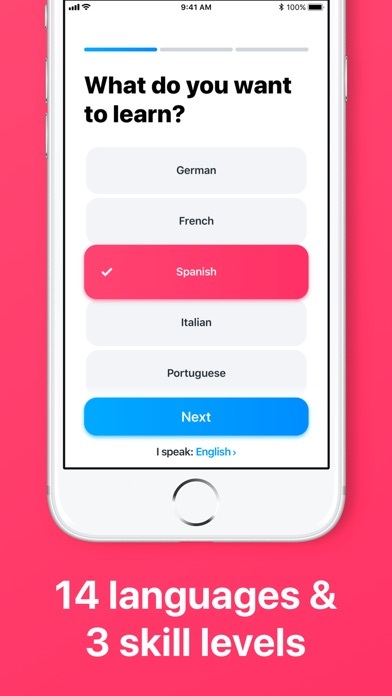 In the app I chose French but later on I figured out I don’t want to do French. I want to lean about Spanish, but no I can’t because, it doesn’t let you change the language that you want to learn. It’s good, but I still dont feel like I can use these words in regular communication with other people, which is what learning a language is all about. 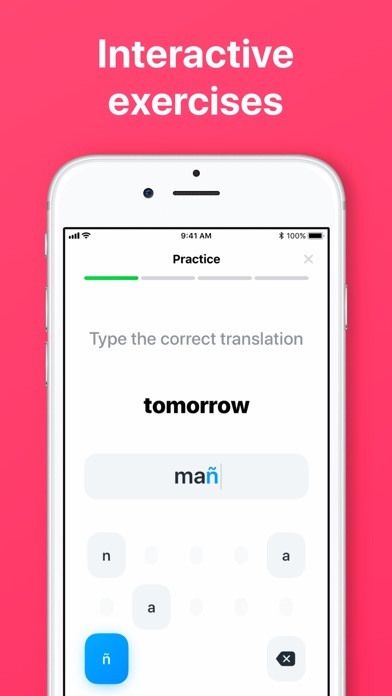 This app really just makes you memorize words. My partner states many pronunciations don’t fit Canadian French. User friendly, concise, easy to use, allows the user to learn the spelling and pronunciation of the words! I like the way the lessons are organized, but some of the transactions are not exactly accurate. For example, справедливый does not mean “right” but just, and it would be better to say that оставленный means “left behind” rather than left - which is ambiguous and could be understood as левый. I’m going to learn Spanish!